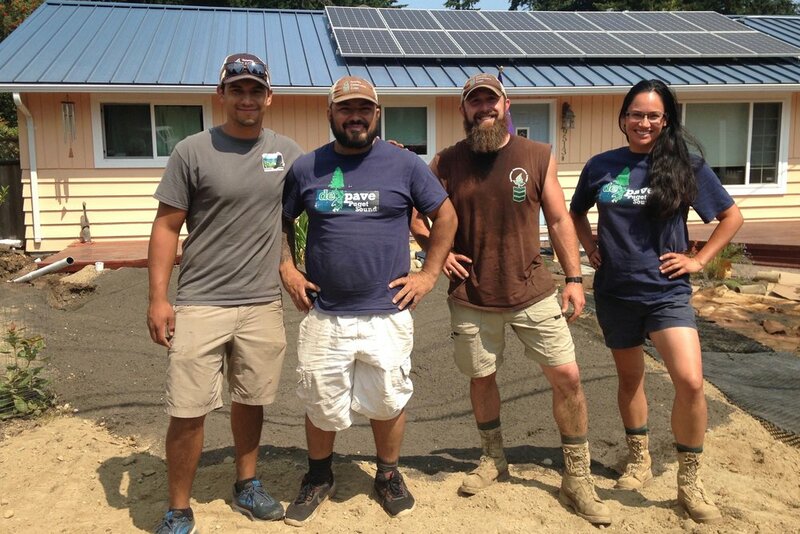 In 2017, Snohomish Conservation District began a partnership with the Department of Veterans Affairs to host a crew similar to our Washington Conservation Corps crew, but consisting of all veterans. Other partners in this effort included The Nature Conservancy and The Boeing Company. The Snohomish Conservation District and the Veterans Conservation Corps are always on the look out for Veterans who are interested in working with us on to better our ground. There may be some updates to the full job description as we approach the 2019 season from March to October, but the job duties should remain the same. These crew members will work with landowners on stormwater resource concerns within urban and residential areas of Snohomish County and Camano Island, and occasionally in other parts of the Puget Sound region. Field duties include rain garden construction, installing rain catchment systems, and habitat restoration projects including planting native species and removing invasive non-native species. We are currently accepting applications for four months terms beginning on March 1st. More details and application instructions on this link - http://snohomishcd.org/employment/. This position will work on a 4-person field crew under the supervision of the Snohomish Conservation District’s (SCD) Community Conservation Team. View Snohomish Conservation District's employment page here.